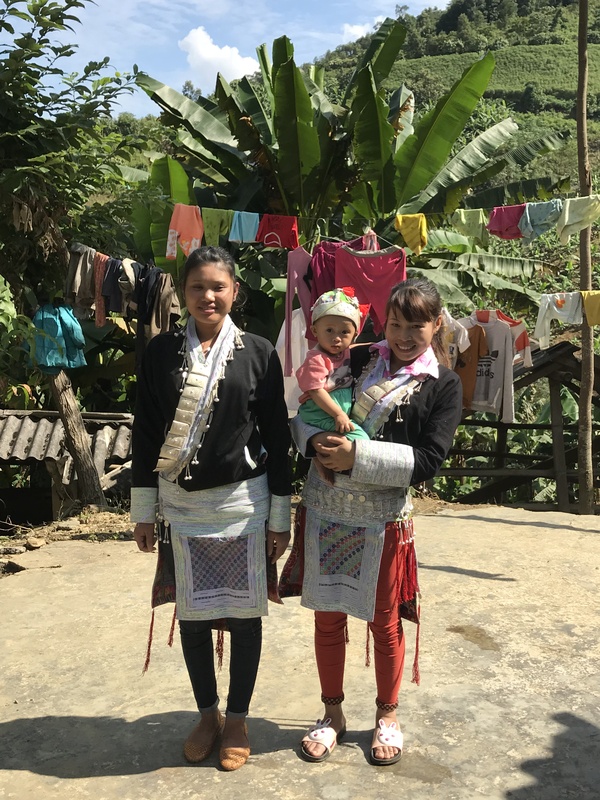 I could hear the jingling bells on the midwife’s hand-made, traditional dress as I approached the top of the mountain in Nậm Giang 2 village in the mountains of Lao Cai, Vietnam. Gasping for breath from the hike, I was greeted by the smiling traditional midwife, Ms. Vàng Tả Mẩy, who was visiting the home of a young mother in this community. Mẩy and this young mother are one of 1.7 million Tày people, agriculturalists and the second largest ethnic minority in Vietnam. Tày homes are far apart with most not accessible by car, or even motorcycle. 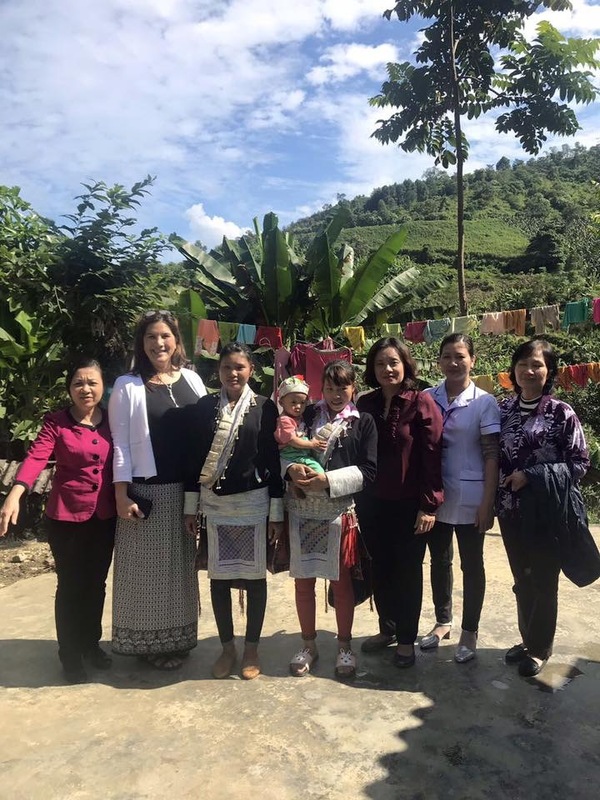 Tày indigenous midwives, many educated in a partnership between Johnson & Johnson and UNICEF, travel by foot up the mountains to visit soon-to-be moms, many of them girls between the ages of 15-20. Photo courtesy of UNICEF Vietnam. 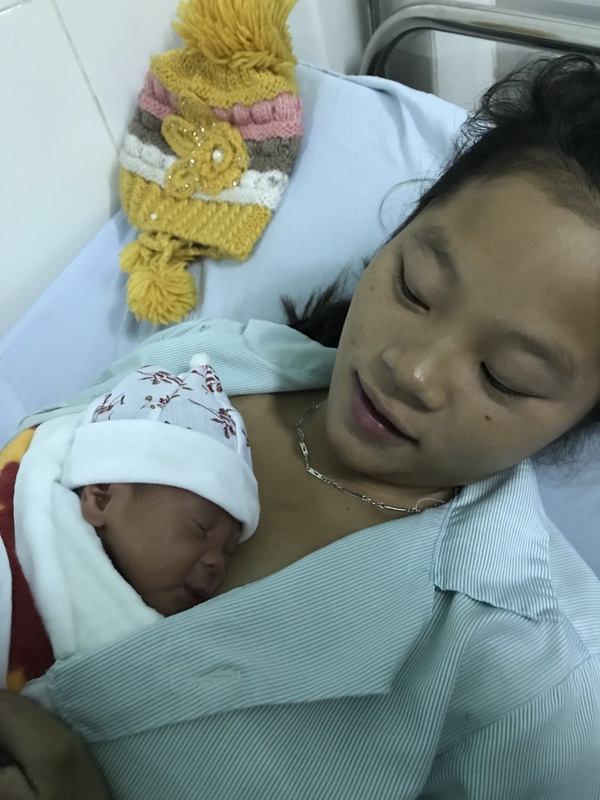 Vietnam, like many low- or middle-income countries, showed improvement in maternal and newborn mortality during the era of the Millennium Development Goals, but a gap remains between disadvantaged groups and more privileged groups. Poverty, education, language and geography are among the many barriers to health care. Ethnicity may have a direct effect on health inequity, above income and education – indigenous people comprise 5% of the world population, but they make up 15% of the extreme poor. Globally, inequity in health care is often most discernable for indigenous people during pregnancy and birth. Higher rates of home births lead to high maternal and neonatal mortality rates. Current solutions range from forcing Native women to travel to birth centers, to medicalization of birth, but these approaches do not address cultural issues, such as a view in some groups that birth is a ceremony with important rituals or celebration, rather than a medical process. Kangaroo care from a Hmong mother in Vietnam. Photo courtesy of UNICEF Vietnam. Programs such as the Bolivian government’s midwifery training program for indigenous midwives are already showing promise in saving the lives of mothers and babies. And there is a growing recognition that mainstream hospital practices are not always respectful of Native women, resulting in a resurgence of indigenous midwifery in Canada and the United States. With a promise to “leave no one behind”, the SDGs present an opportunity for us to recognize and learn from Native people who bring to us cultural traditions and a hope for a rich, diverse future. A welcoming community of women who receive local, respectful care could be one answer to the health care gap for indigenous people. May 5 marks International Day of the Midwife. Follow @JNJGlobalHealth on Twitter and Instagram for more on the role midwives and midwifery leaders play in a healthy, safe and equitable world.